Good. 1st edition. Light wear to boards with marks. Content is clean and bright. Good DJ with general wear. Selznick, Brian. Very Good. Amelia and Eleanor Go for a Ride by Ryan, Pam Munoz, 1999-10-01. Sewn binding. Cloth over boards. With dust jacket. 40 p. Contains: Illustrations. Intended for a juvenile audience. Selznick, Brian. Good. 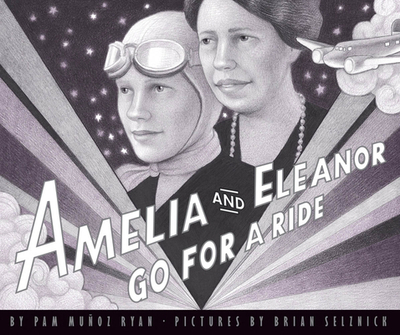 Amelia and Eleanor Go for a Ride by Ryan, Pam Munoz, 1999-10-01. Sewn binding. Cloth over boards. With dust jacket. 40 p. Contains: Illustrations. Intended for a juvenile audience.